Over 100+ sports are covered as standard with every travel insurance policy at Holiday Extras, and you can add on additional cover too for even more sporting activities! Sports activities can make a trip dynamic and exciting but it's important to make sure that you've got the right sports travel insurance cover and protection for when you take part. Whether you enjoy a spot of deep sea fishing, ice skating, rowing or just a pleasant game of rounders, Holiday Extras' holiday insurance can ensure you and your equipment are covered. Book with Holiday Extras' to benefit from our four levels of cover which already include cover for over 100+ sports as standard! We have two types of policies and four levels of cover to choose from, so finding the right sports travel insurance policy is simple and affordable. You can choose from our Bronze, Silver, Gold and Platinum levels to suit your particular sporting requirements, and whether you purchase a single trip or annual multi-trip policy, you will be covered for travel across the UK, Europe and worldwide. Levels of cover are dependant on which policy you purchase. What activities do our Travel Insurance policies cover? Platinum Covered as standard - Aerobics, Amateur Athletic Field Events, Amateur Athletic Track Events, Angling/Fishing (freshwater), Animal Sanctuary (non big game), Archery, Badminton, Bamboo Rafting, Banana Boating, Bar Work, Baseball, Basketball, Billiards, Bird Watching, Board & Card Games, Bodyboarding, Boules, Bowling, Bowls, Bridge Swinging, Bungee Jumping, Camel/Elephant Riding.Trekking (UK booked), Camping, Canoeing/Kayaking (White water grades 1-3), Caracanning, Catamaran Sailing (In-shore), Clay Pigeon Shooting, Cricket, Croquet, Cross Country Running, curling, Cycle touring/Leisure Biking (Up to 1,000m), Dancing, Darts, Disco Golf, Diving (Indoor up to 5m), Dragon Boat Racing, Fencing, Fives, Flag Football, Flying as Passenger (private/small aircraft/helicopter), Football.Soccer (Practice/Training), Frisbee (Recreational), Golf, Handball (Practice/Training), Highland Games, Horse Riding (No jumping), Hot Air Ballooning, Indoor Skating (Not ice), Jet Boating, Jet Skiing, Kiting, Korfball, Laser Tag, Low Ropes, Marathons, Mini-Golf, Model Flying, Model Sports, Mountain Biking (Up to 1,000m), Netball, Orienteering, Petanque, Peteca, Pigeon Racing, Pony Trekking, Pool, Quoits, Rackets, Racquetball, Rafting (White Water grades 1-3), Re-Enactment, Rifle Range, Ringos, River Punting, Rollerblading/Skating (Not ice)/Skateboarding/Scooters (Non-motorised), Rounders, Rowing (Inshore - recreational) Safari (UK organised), Safari Trekking (UK organised), Sailing/Yachting (Recreational - inshore), Scuba Diving (Not solo up to maximum 30m), Segway (Supervised non-competitive), Snorkelling (Inside marked areas and/or with lifeguard present), Softball, Squash, Stoolball, Swimming (Inside marked areas and/or with lifeguard present), Swimming off a boat (With a qualified supervisor in attendance - i.e. a lifeguard), Swimming with Dolphins (Inside marked areas and/or with lifeguard present), Sydney Harbour Bridge Climbing (Professional organised and supervised), Table Tennis, Ten Pin bowling, Tennis, Theme Parks, Trekking/Mountain/Walking/Hiking/Rambling/Mountaineering (in group, all up to 1,000m), Tubing, Tug of War, Unicycle Riding, Volleyball, Water Parks, Whale Watching (professionally organised), Yachting (Inshore - crewing), Yoga. Platinum Additional Activity Pack 1 - Abseiling (Indoor/Outdoor climbing wall up to 25m), Adventure Racing (up to 6 hours), Airsoft, American Football - Training (Organised and with safety equipment), Angling/Fishing (Sea), Assault Courses (No high ropes), Camel/Elephant Riding/Trekking (non-UK booked), Climbing (Indoor/Outdoor climbing wall up to 25m), Diving (Indoor up to 10m), Dry Slope Skiing, Falconry, Fell Running (up to 2,000m), Fly Boarding, Football/Soccer (Organised amateur match), Frisbee (Ultimate Frisbee), Gailic Football (Training), Gorilla Trekking (Booked pe-trip, requires appropriate trekking altitude pack), Gymnastics, Handball (Organised Amatuer Match), Hockey (Field, organised amateur match), Ice Skating, Iron Man, Judo (Organised training), Karate (Organised training), Kendo (Organised training), Lacrosse, Martial Arts (Organised training), Mountain Biking (up to 2,000m) Paintballing, Parasailing, Parascending (Over water), Rap Running/Jumping (Indoor/Outdoor climbing wall up to 25m), Rugby (Training), Safari (non UK booked), Safari Trekking (non UK booked), Sand Yachting, Sea Canoeing/Kayaking (Inshore), Shark Diving/Swimming (Cage), Shinty, Street Hockey, Surf Life-Saving (organised competition), Surfing, Tough Mudder, Trampolining, Trekking/Mountain Walking/Hiking/Rambling/Mountaineering (in group) all up to 2,000m, Triathlon, War Games/Paintballing, Water Polo, Water Skiing (No jumping), Weight Lifting, Windsurfing/Boardsailing/Sailboarding, Wrestling (Organised Training), Zip Lining/Zip Trekking (booked pre-trip - requires appropriate trekking altitude pack). Platinum Additional Activity Pack 2 - Adventure Racing (Up to 12 hours), American Football Amateur Match (Organised and with safety equipment), Animal Sanctuary (Big game), Biathlon, Big Foot Skiing, Blade Skating, Breathing Observation Bubble (BOB), Canoeing/Kayaking (White Water grade 4), Canyoning, Cat Skiing, Equestrian, Flying (Crew/Pilot), Flying Helicopter (Pilot), Gaelic Football (Amateur Match), Glacier Walking, Gliding (Non-competitive), Go Karting, Gorge Walking (With ropes), Gorilla Trekking (booked during trip - requires appropriate trekking altitude pack), Harness Racing, Hockey (Ice, with full body protection), Horse Jumping (No Polo, no Hunting), Horse Riding (Eventing), Husky Dog Sledding, Hydro Zorbing, Ice Fishing, Kick Sledging, Land Skiing, Langlauf, Modern Pentathlon, Mono-Skiing, Mountain Boarding, Octopush, Off-road Motorcycling (up to 250cc), Off-piste skiing/Snowboarding (with guide), Passenger Sledge, Power Boating (Inshore), Power Lifting, Quad Bikes (Providing you wear a helmet) Rafting (White Water grade 4), River Tubing, Rodeo, Roller Derby (Safety equipment must be worn), Roller Hockey, Rugby (Amateur Match), Sand Boarding, Sand Dune Surfing/Skiing, Ski Boarding, Ski Bobbing, Ski Dooing, Skiing, Skiing - Nordic/Cross Country, Sledging/Tobogganing, Sleigh Riding (Reindeer, Horses or Dogs), Snorkelling (Outside marked areas and/or without lifeguard present), Snow Biking, Snow Mobile/Ski Doos, Snow Parascending, Snow Scooting, Snow Shoe Walking, Snow Tubing, Snowcat Driving, Speed Sailing, (Inshore), Speed Skating, Speed Trials/Time Trials (Organised not public roads), Summer Tobogganing, Swimming (Outside marked areas and/or without lifeguard present), Swimming off of a boat (Unsupervised and/or no lifeguard), Swimming with Dolphins (Outside marked areas and/or without a lifeguard present), Telemarking, Tree Top Canopy Walking, Under 17 Driving (Not public roads), Zip Lining / Zip Trekking (Booked during trip - requires appropriate trekking altitude pack), Zorb Football. Platinum Additional Activity Pack 3 - Abseiling (Outdoor above 25m), Blowcarting/Land Yachting/Kite Buggy, Boxing Training (Head guard must be worn), Caving/Pot Holing, Climbing (Rock and Ice - harnessed up to 4,000m), Devil Karting, Dirt Boarding, Fell Running (up to 3,000m), Gorge Walking (No ropes), Heli-Skiiing, High Diving (Indoor/Outdoor swimming pools only, Hurling, Hydrospeeding, Ice Go Carting, Ice Windsurfing, Jousting, Kite-boarding/Surfing, Motorised Buggying, Mountain Biking (up to 3,000m), Paragliding, Paramotoring, Parascending (Over land), Polo, Polo Cross, Rap Running/Jumping (Outdoor above 25m), River Bugging, Roller Skating (24 hour relay), Skeleton, Ski Biking, Ski Blading/Snow Blading, Ski, Joering, Skiing (Snowcat/Freestyle/Glacier), Ski Mountaineering (Up to 4,000m), Ski Randonee, Ski Run/Walking (Up to 4,000m), Ski Touring, Snow Karting, Snow Kiting, Snow Surfing, Trekking/Mountain Walking/Hiking/Mountaineering (In group, up to 4,000m), Via Ferrata, Wake Boarding, Water Skiing, Wind Tunnel Flying/Indoor Sky Diving, Zorbing/Sphering. Similarly to the above, Holiday Extras can also cover you for certain winter sports when you purchase additional winter sports travel insurance cover. This means you can enjoy the slippery slopes without financially risking an arm and a leg. If you select to include this additional cover and it's shown on your booking confirmation you can rest assured that you're covered for skiing (including on dry slopes and indoor ski centres) and a variety of other winter sports as listed in your policy documents. If you are concerned that you're particular winter sport isn't covered, then give our team at Holiday Extras a call on 0800 316 0104 and ask about adding an extra premium on to your additional sports cover that includes bobsleighing, heli-skiing and ice hockey*. Equipment - Make sure you've got all the gear that you need before your trip, as prices at sporting events can be higher than anticipated. Emergency numbers - If you need to seek medical attention whilst abroad, please ensure that you contact the 24-hour Emergency Assistance Service for help and advice before treatment, where possible, full details can be found within the policy wording. We would advise you to keep this number in your mobile phone and give it to anyone else you are travelling with..
Medical clearance - Visit your GP before your trip, to ensure that you do not have any underlying medical conditions that could cause problems if you exert yourself. 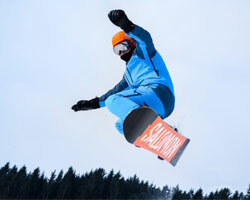 Please note :- winter sports cover is only available if you are aged 64 or under at the start date of your policy.